Our 2015-16 school year ended on a great note! Many thanks to everyone that played a part. Summer day camp is up and running and plans are underway for making this next school year one of the best yet. Enjoy these highlights from the last few months and have a great summer! 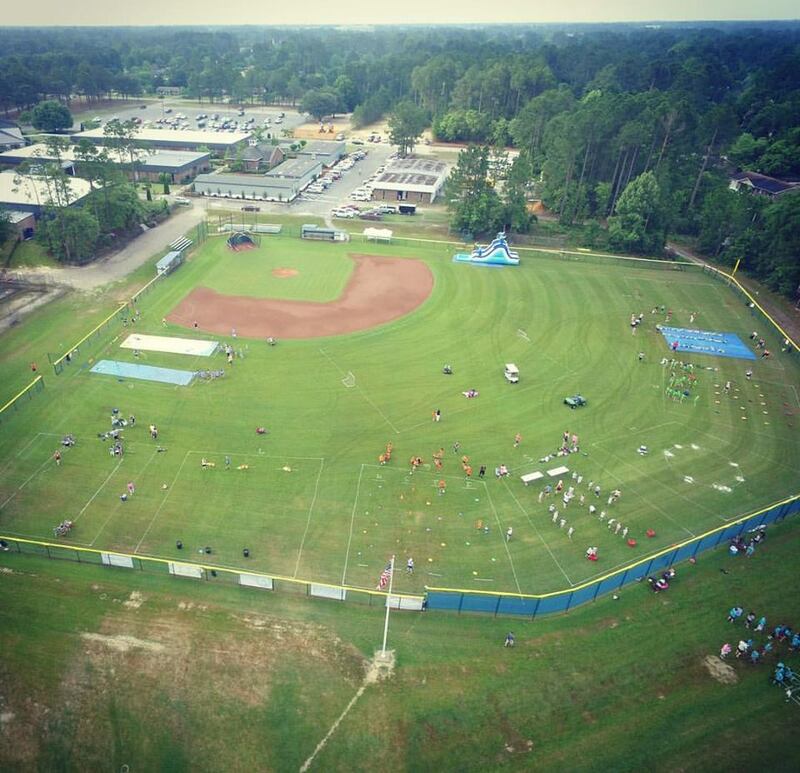 Bird's eye view of WCA's 2016 Elementary Field Day of FUN! As of today, Wheel-A-Thon 2016 has brought in just over $35,000! Thank you for your support! 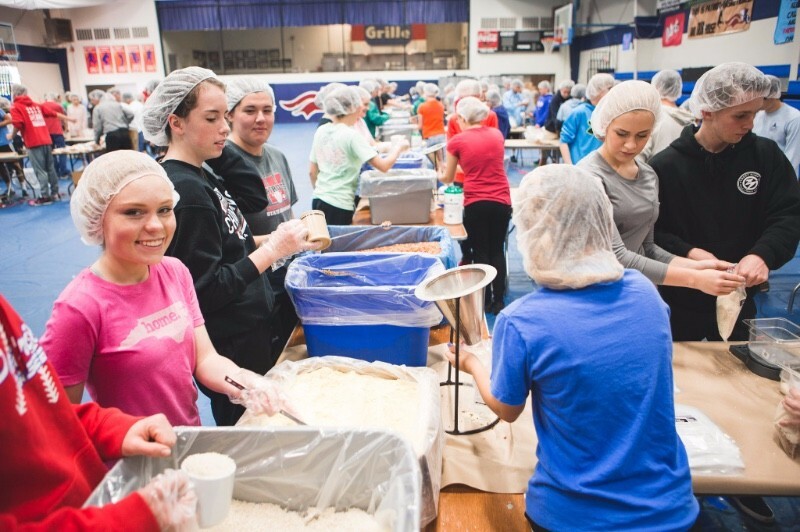 WCA's high school students packed #20,000 meals during its annual Feed the Hunger project! Not only were our students able to package all 20,000 packets of food, but they also collected the money needed to make this project a reality! These meals were prayed over by our students and were shipped to third world countries around the globe, not only to feed the hungry, but to help spread the Gospel of Jesus Christ in orphanages throughout the world! CONGRATULATIONS to WCA Seniors, Kiersten Augst and Jared Ball. 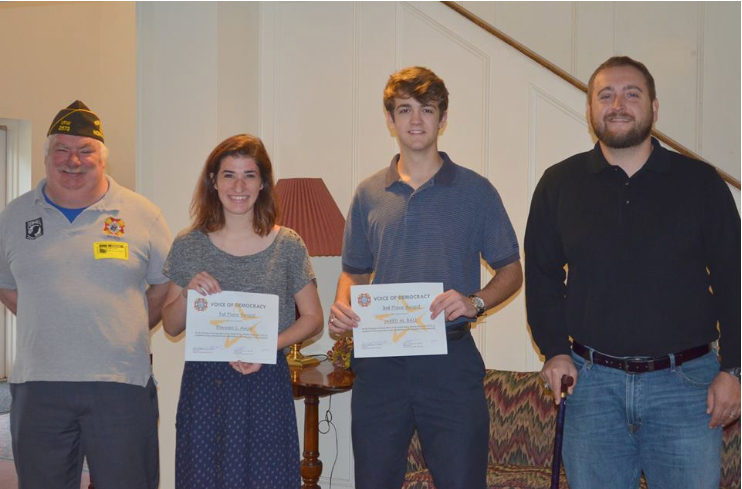 Both entered this year's annual VFW "Voice of Democracy" essay writing contest. This year's theme was, "My Vision for America". A total of 18 entries were submitted to the local VFW Post from area public & private high schools. The top three winners at the local Post level (#2 winners coming from WCA), were awarded a certificate and a monetary gift. The first place Post winner (Kiersten) moved on to compete at the VFW District level, where she placed 2nd. 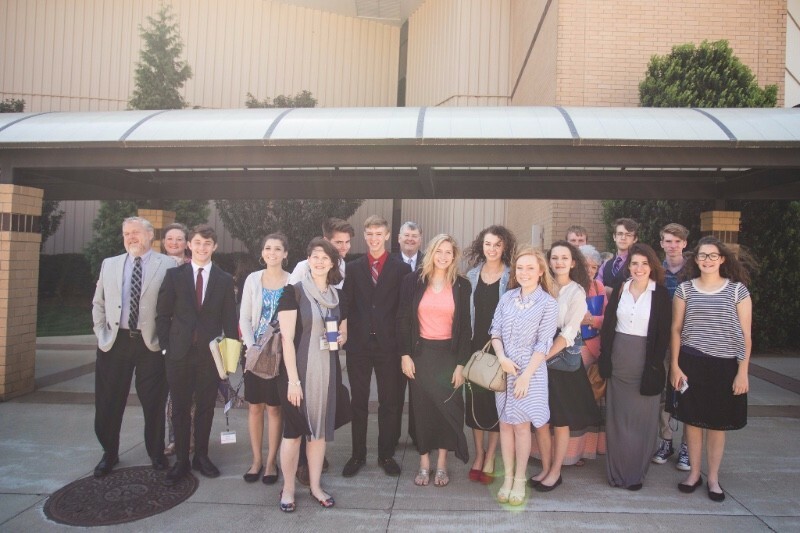 Our state fine arts winners recently participated in the AACS National Fine Arts competition in Greenville, SC. We are excited to announce the following National Fine Arts winners. Brenna DaMatta (12th) won 1st place in Art - Mixed Media. Jared Ball (12th) won 1st in Oral Interpretation of the Scriptures. Kayla McIntyre won 1st place in Art - Oil Painting. Kiersten Augst (12th) won 2nd in Humorous Interpretation. Congratulations to these national winners and to all who participated! Our elementary students participated in the NCCSA Elementary Fine Arts competition in Goldsboro, NC. We are excited to announce the following Fine Arts winners. Sadie Tew (3rd) won 2nd place in English Academic Testing. Jeremy Ferraro (3rd) won 3rd place in History Academic Testing. Samantha Harrell (4th) won 1st place in Art-Monochromatic Drawing. Gareth Dorey (5th) won 3rd in Art Polychromatic drawing, and also placed 2nd in 5/6th Poetry Recitation. Martha Smith (3rd) placed 2nd in 3/4th String Solo. Samuel Ayers (5th) placed 2nd in Brass Solo. Chloe Bloom (3rd) placed 1st in 3/4th Piano Solo. Mackenzie Williams (4th) placed 2nd in 3/4th Vocal Solo. Andi Creech (6th) placed 3rd in 5/6th Vocal Solo. Annalise Coats and Eli Hawes (3rd) placed 2nd in the Third grade Bible Sword Drill. Elijah Harmon and Henry Steven (5th) placed 2nd in the Fifth grade Bible Sword Drill. The Elementary Choir placed second in the choir competition. Small and Large Vocal Ensembles both took 1st place. Elementary Band placed 1st in the band competition. Small and Large Instrumental Ensembles both took 2nd place. Congratulations to these Elementary Fine Arts winners and all who participated! The New Hanover County Special Olympics Basketball team and their cheerleaders made a special visit to WCA in March! The teams played an exhibition game as our students cheered them on, and the players stayed afterwards to sign autographs for our students! Our students look forward to this annual visit by the cheerleaders & basketball team and enjoy cheering them on to victory!! Who says that art class has to be taught in the classroom? 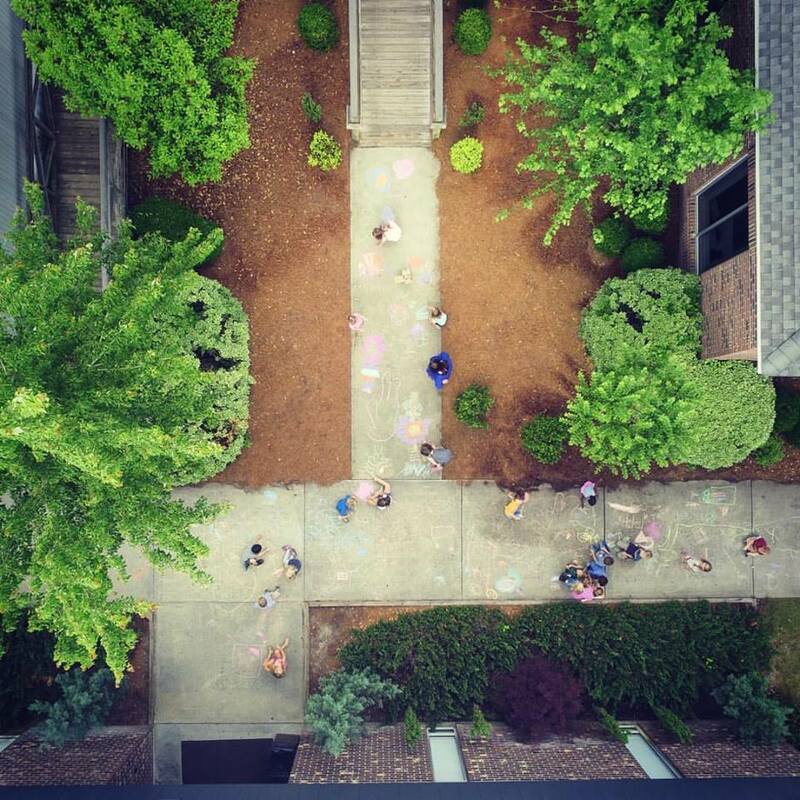 Kindergarteners enjoying their art class with some sidewalk chalk FUN! "Incredibly thankful for the amazing opportunity to share HaitiAwake with this generous group of young people and their teachers this morning. 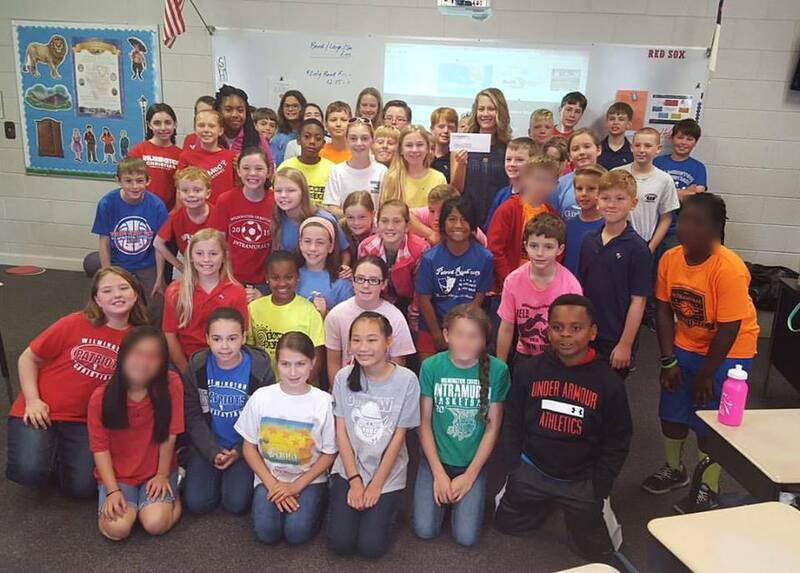 They raised funds to donate two Lifestraw community water filters to our ministry. And ... they were also able to pay for shipping the filters to Haiti. What a blessing!" God Speed to HaitiAwake on behalf of Wilmington Christian Academy! 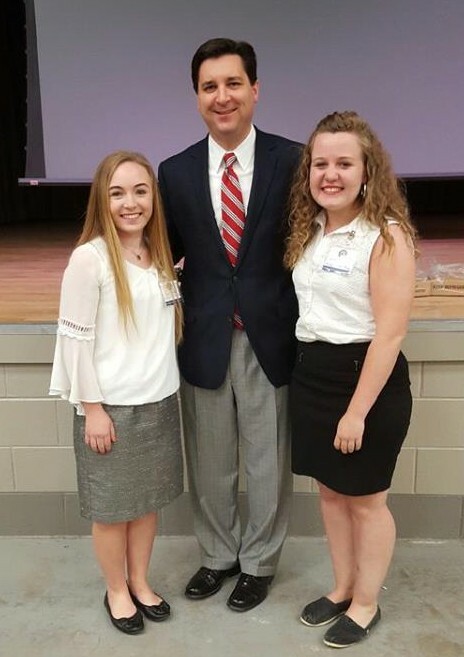 WCA Juniors, Jayna Donaldson & Caroline Fountain, were invited to attend the 2016 7th Congressional District Youth Leadership & Entrepreneurial Conference hosted by NC Congressman David Rouzer in April. NEW TRADITION BEGINS AT WCA! 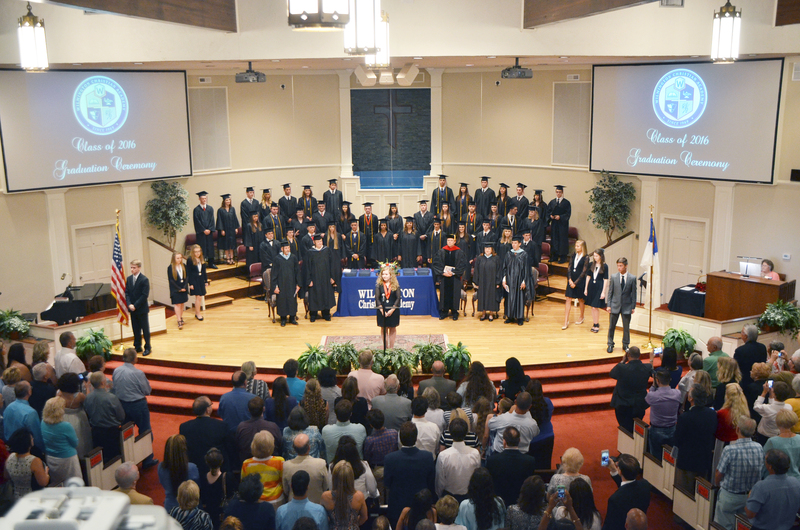 WCA started a new tradition with the Class of 2016! 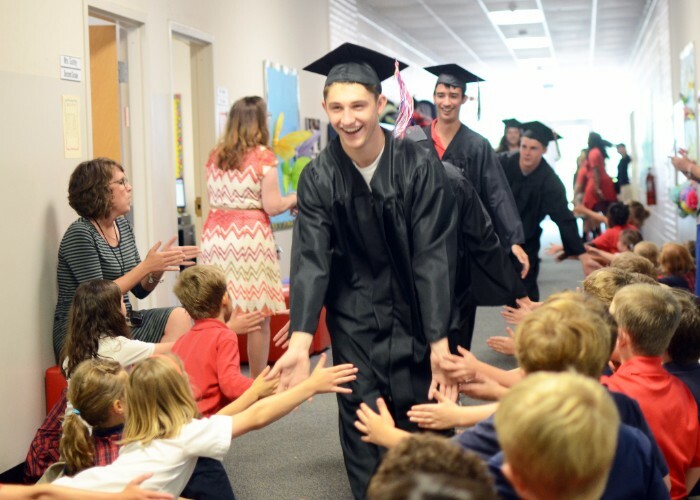 Graduating seniors walked the elementary hallways in their caps and gowns for WCA's first inaugural "Senior Walk!" Cheers and high fives were all around as our seniors were honored and celebrated during this exciting new tradition for WCA! It's not too late to join our Mission Possible VBS program at Grace Baptist Church! WCA Summer Day Camp provides a recreational day camp for children of parents who need summer childcare. The camp’s mission is to provide each child with a loving atmosphere designed to help the child develop physically, socially and spiritually, and to increase the child’s interests in recreational activities. These activities include field trips to area businesses and sites of interest, bowling, aerobic exercises, water activities, indoor/outdoor games, library time, sports skills, skating, and visits to the water park. 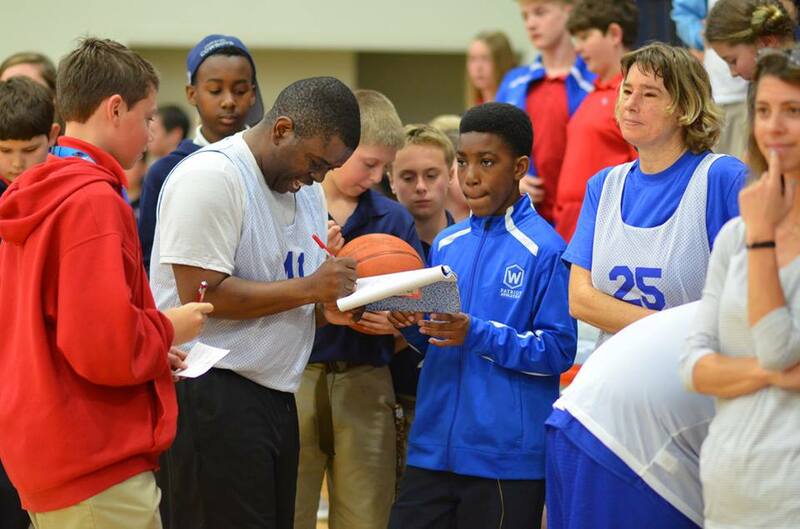 WCA offers weekly sports camps in basketball, golf, soccer, volleyball, tennis and cross country. Wilmington Christian Academy offers the best, most comprehensive summer camp program in the Wilmington area. Excellent facilities, caring, professional teachers, and enthusiastic coaches create an enjoyable summer experience at WCA. 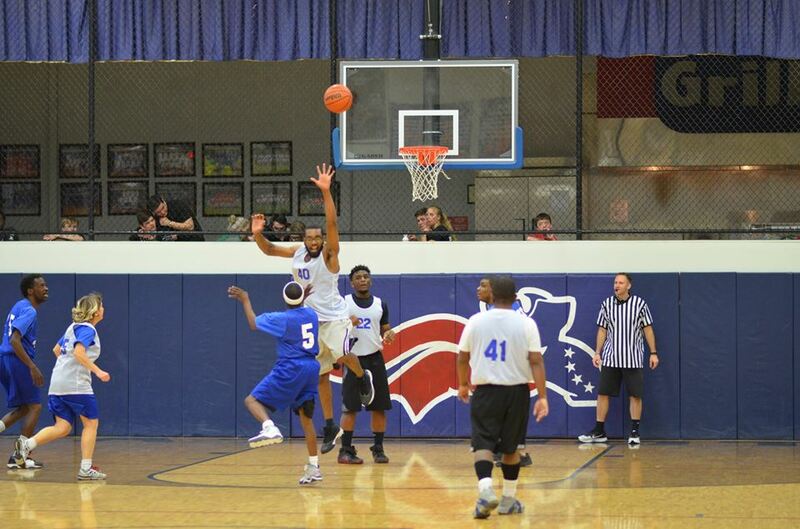 WCA provides week long, half-day enrichment camps. There are camps in technology, science, culinary arts, woodworking, art, and much more. Wilmington Christian Academy offers the best, most comprehensive summer camp program in the Wilmington area. Excellent facilities, caring, professional teachers, and enthusiastic coaches create an enjoyable summer experience at WCA that will be remembered for years to come. Sign up with your email address to receive occasional updates from WCA's Patriot Press.